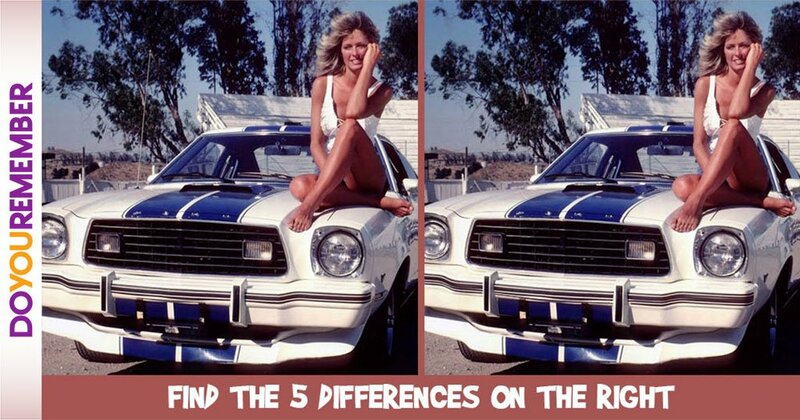 Spot All 5 Differences in this Classic Farrah Fawcett White Mustang Cobra Picture | Do You Remember? 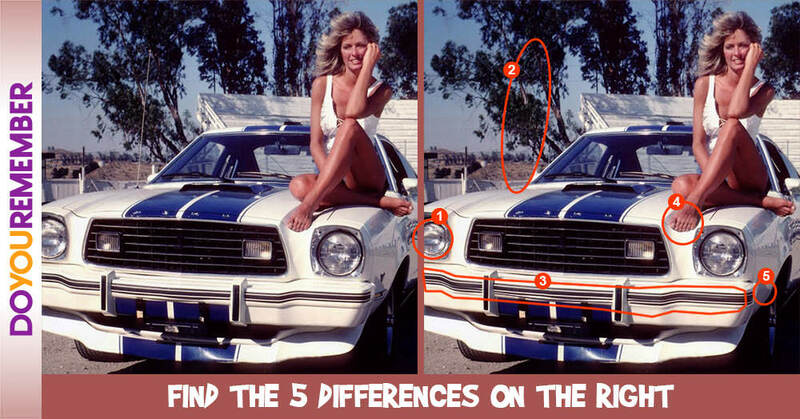 Can you find all the differences in this classic Farrah Fawcett white Mustang Cobra Picture? 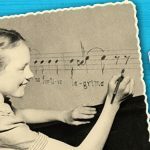 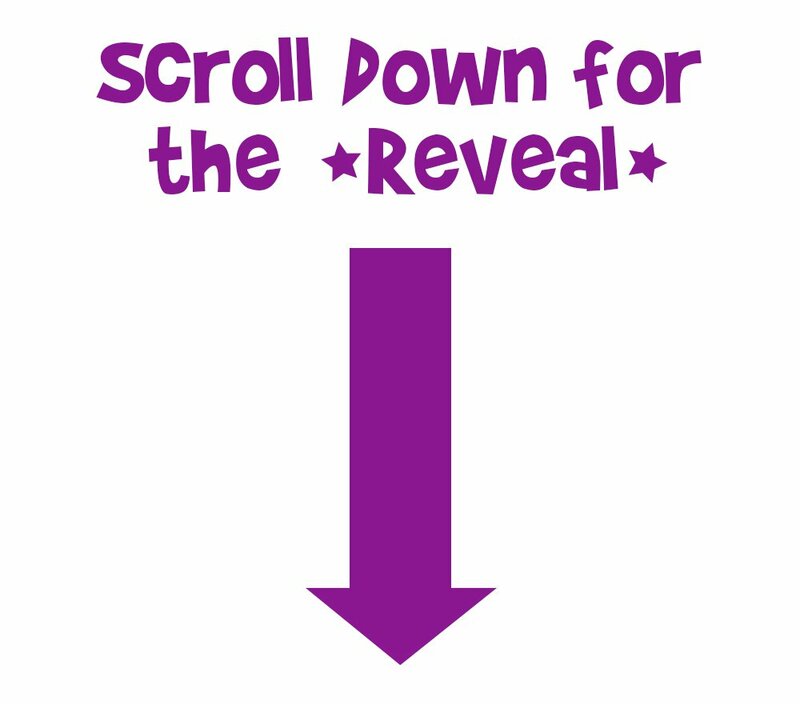 Guess Who this Very Talented Young Girl Grew up to be?